By setting resources for bookings, you enable your users to have more autonomy over their bookings as they can self-select the resources you have available. To create and edit bookable resources you'll need to head over to Settings > Resources. 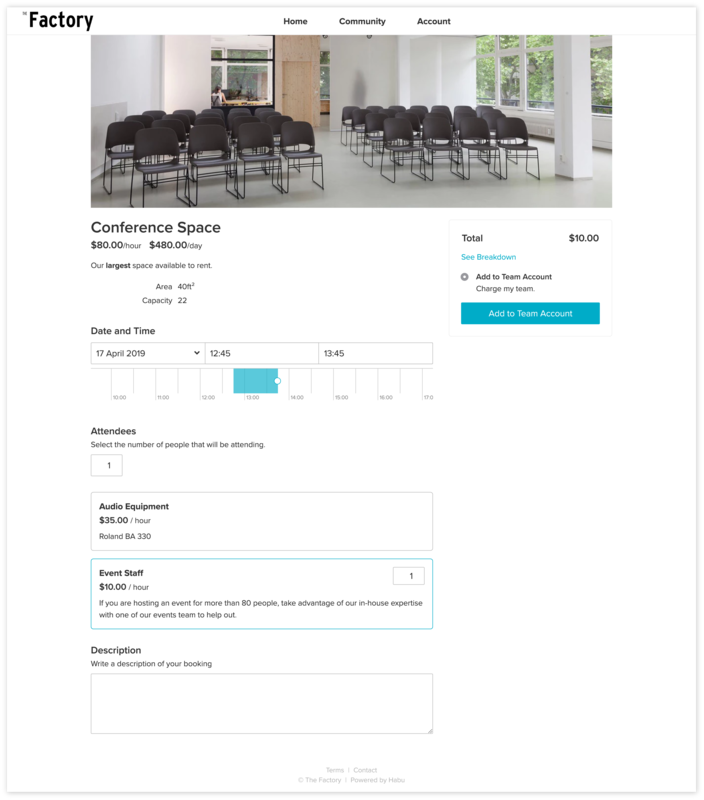 Once there, hit the + Resource button and you'll be taken through to the create resource screen and can add the price, and how it's charged, as well as a brief note to help users navigate your booking process. Per booking - charges for the number of resources in a booking (# of resources = quantity within an invoice). Per hour - charges for the number of resources in each hour of a booking (duration x # of resources = quantity within an invoice). This can help you charge more precisely for resources such as projectors or people such as sound engineers. Per person - changes the default quantity in a booking to match the number of attendees. This can be very useful for resources such as catering items and chairs. Resources will soon have minimum and maximum quantities to avoid overbooking particular resources.